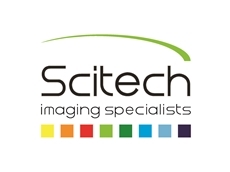 Scitech announces the launch of the new i-Raman portable Raman spectrometers from B&W Tek, Inc. 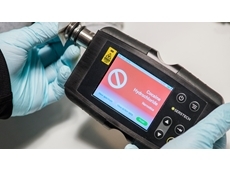 The new laser stabilised portable Raman spectrometers combine high resolution with field portability to deliver a performance comparable to large bench-top Raman systems. 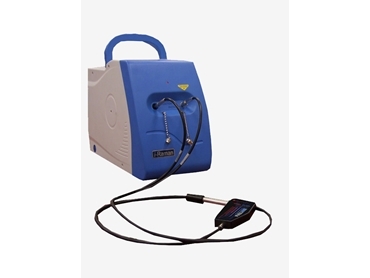 The i-Raman portable Raman spectrometers are recommended for use in bioscience and medical diagnosis; polymers and chemical processes; semiconductor and solar industry; food and agriculture industry; geology and mineralogy; pharmaceutical industry; environmental science; Raman microscopy; forensic analysis; and gemmology applications. Weighing less than 7lbs, the i-Raman portable Raman spectrometer is equipped with B&W Tek’s patented CleanLaze technology for exceptional laser stabilisation and narrow line width. The i-Raman collects data to 175cm-1 of the Rayleigh Line. Key features of the i-Raman also include spectral resolution as fine as 3cm-1, wide Raman shift coverage up to 4000cm-1, TE cooled 2048 pixel CCD array, and a convenient fibre optic interface option to collect data to within 65cm-1 of the Rayleigh Line. Benefits include a high resolution combined with field portability, performance comparable to large bench-top Raman systems, small footprint, lightweight design, and low power consumption. The i-Raman spectrometer offers 532nm, 785nm, and 830nm excitation wavelength options. All the i-Raman Raman spectrometer systems feature deep TE cooling, allowing the maximum effective integration to be 4 minutes. This makes the i-Raman ideal for demanding applications involving low concentrations and weak Raman scatters.